Win a Big Tex Insider Season Pass and Get a FREE Coupon to Summer Adventures in Fair Park 2014! I know, I know, you probably think you misread the title to this post or that I’m just crazy but actually I’m just sharing a great deal with you Waaayyyyyy ahead of time. 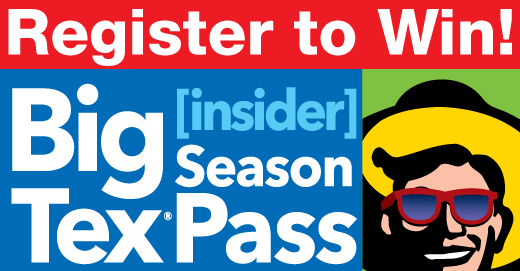 Register now for your chance to win a Big Tex Insider Season Pass to the 2014 season of Summer Adventures in Fair Park. and the 2014 State Fair of Texas. All registrants will receive a 2014 Summer Adventures in Fair Park buy one admission, get one FREE coupon to Summer Adventures via email prior to opening. Previous postFREE Popcorn and Movie Ticket from Movie Tavern! Next postTexas Motor Speedway FREE Admission for Testing Days Oct. 14th – 16th!